This week, Photographer Geoff Tynan focuses his lens on Balidon and Balidon Moor in West Yorkshire, giving you a lovingly crafted snapshot of why this area of the UK is well worth visiting. “The town is a mix of traditional stone and more modern 1960’s architecture. Back in the days of the industrial revolution the two urban centres of Shipley and Baildon were clearly defined. The urban sprawl from both has blurred the boundaries somewhat for those who visit. If you reside there you will clearly state your location with pride. The town of Baildon is a bustling at the quietest of times. It supports all those amenities that you would find in a large town, a Co-op, takeaways, gift shops, chip shops, specialist retailers, and those seeking retro bits and bobs for the home. If you play golf you will be playing more or less on Baildon Moor. It is difficult for the golf novice to distinguish where the moor starts and the golf course ends. When a ball goes into the rough, it really is in the rough. 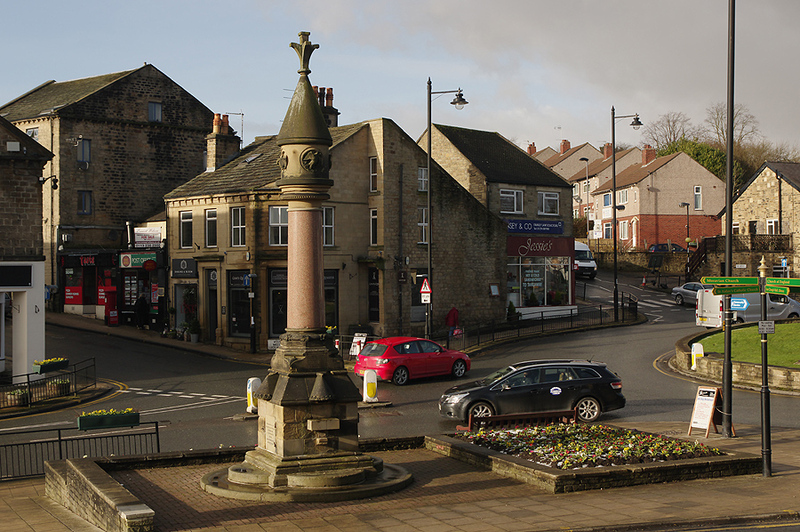 The centre of the village is basically a small roundabout minus a set of village stocks, perhaps that’s a good thing as it would distract the drivers. Just below the Co-op is a memorial to a mother-in-law. Now this has to be a very rare monument indeed. Erected by a gentleman called Baron Amphlett of Somerset. Her name was Frances Ferrand, she must have made quite an impression on him. The monument is a fountain and gained the local name of “the potted meat stick” due to it’s red marble column. It was to be replaced by a bus terminus in the 1920’s. It was eventually dismantled in the 60’s and almost forgotten. In the 1980’s it was rebuilt with funds raised by the Mechanics Institute and stands today. The Baron’s mother-in-law would be very pleased. The town holds a farmers market every fourth Saturday. On the last bank holiday of the summer the whole town trembles to the sound of Harley Davidsons. 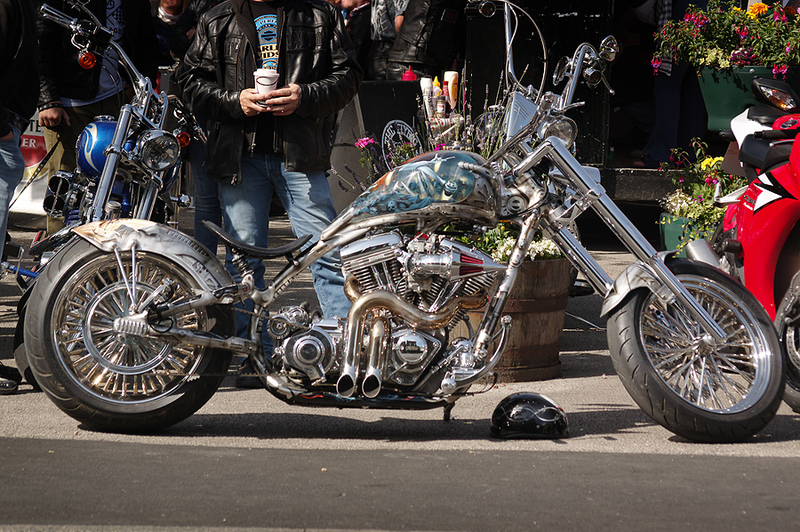 Bikers from all over the country converge on the town to fill the streets with chrome, customised paint jobs, leather and swap stories and bike knowledge. The event is in aid of charity and all in good fun. They may look mean and moody but they don’t bite. They are happy for you to ask questions and take photos, any excuse to show off their pride and joy. Prepare yourself for the “ride out” as the volume from hundreds of bikes being started up and parading through the town is enough to make the mother-in-law’s memorial crumble to dust. 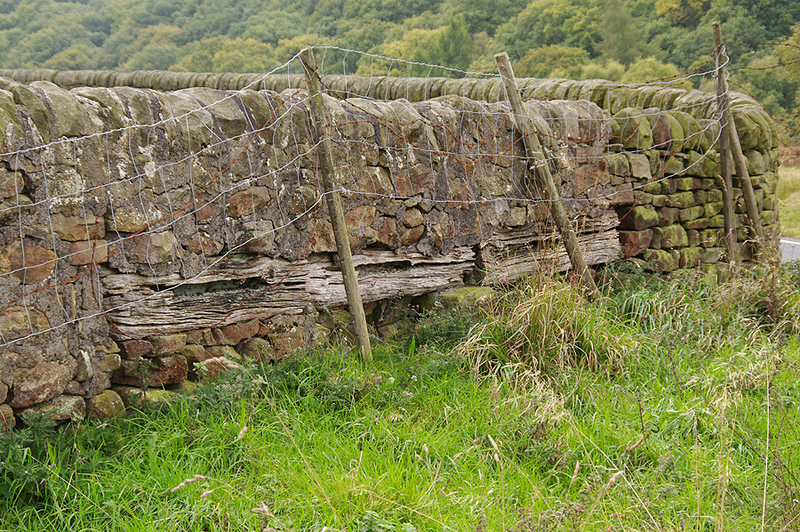 After this you may need a little piece and quiet so head off up Northgate until you get to the cattle grid that marks the outskirts of the town and there is Baildon Moor stretched out, all ready and waiting for you. Situated to the north of Bradford, this relatively small stretch of moorland is an easy escape from the bustle of town and city life. On the face of it, untouched by man, but it has been exploited by him for thousands of years. Those early inhabitants that hunted and roamed the moor have left subtle clues as to their presence and purpose. Small stones with enigmatic markings are hard to find among the wild grasses that flourish there. Are these some kind of markers to signpost a traveller to a place of safety or astral in nature. These seemingly simple markings have baffled academic minds, and no doubt will continue to do so. 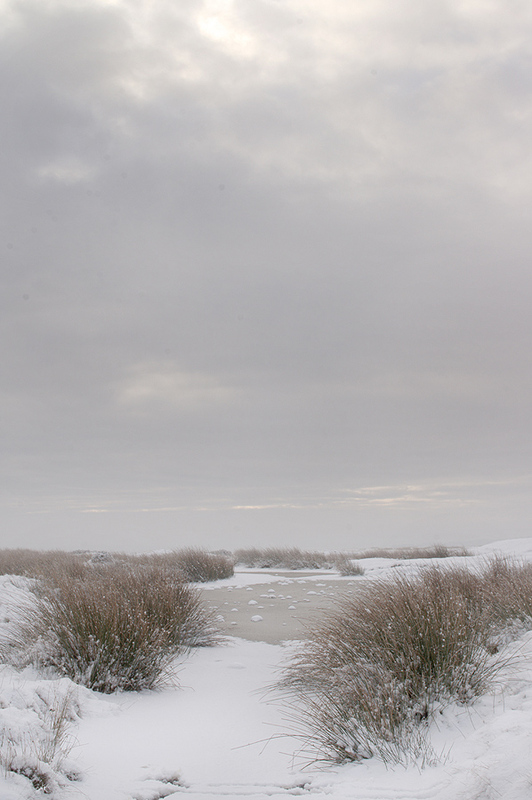 No matter the time of year you go and explore, it is consistent in its surprises. Go in the deepest mist and you get the feeling of being back in time. You almost expect to see a fur-clad figure with spear in hand emerging from the mist. The tangible figures you encounter now are weatherproofed and branded. There to put the city behind them for at least a couple of hours. To experience nature in manageable amounts. To return at any time to the car, cafe or pub. The wildlife that still roam can stop you in your tracks enabling you to reflect on how things are still the same. A bird of prey will stop its spiralling turns and fix itself in the sky. Then suddenly drop as if from a gunshot, down, to pull a life from the earth. 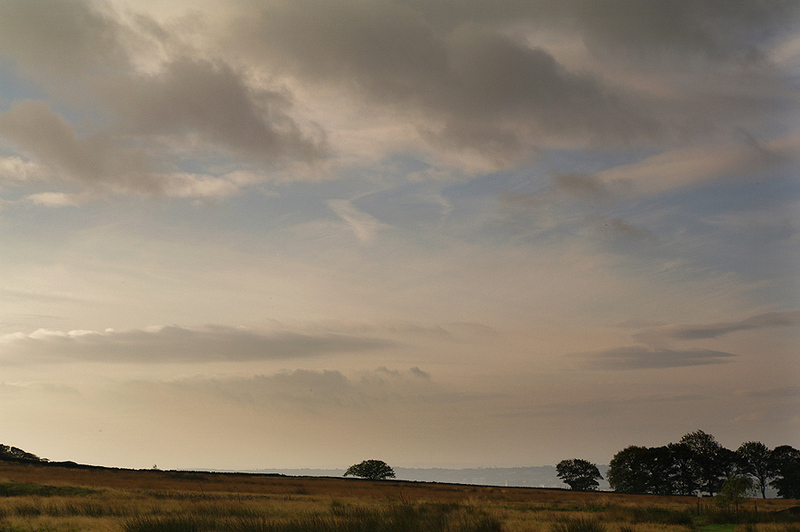 Stand on the southern edge of the moor on a bright clear day and the city of Bradford sparkles in the distance. If the air is still the sound of unnatural life can be heard. The sounds of traffic and time to be kept to, helping you to realise you made a good choice to spend those couple of hours on the moor. The city is spread before you and one building draws the eye. Lister’s Mill stands on higher ground, its large chimney punctuates the horizon. Built by Samual Cunliffe Lister in 1871 it was the largest silk mill in the world. Bradford made its name from wool and textiles and it is said that the wealth created by Bradford’s textile industry could keep the economy of Britain going on its own. 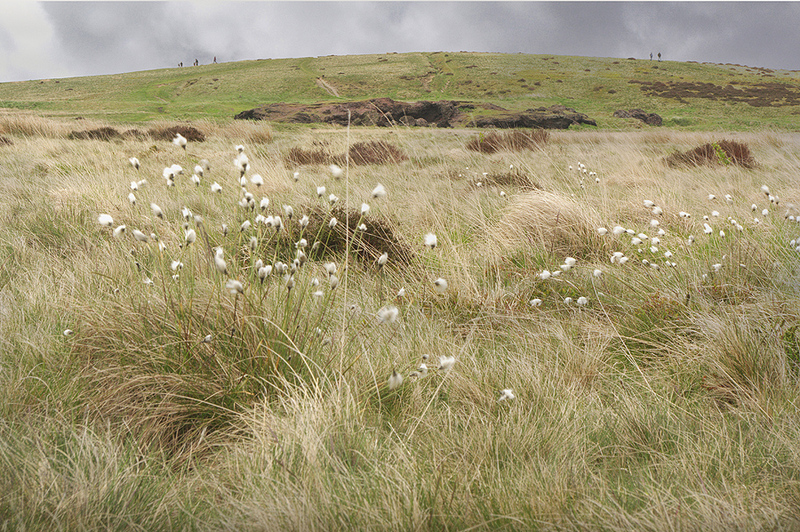 The moor has not always been a refuge from industry, it too became an industrialised landscape for many years. The evidence of which is still visible today. As you cross the moor you will come across unnatural circular depressions in the landscape. These are the remnants of old coal workings known as bellpits. Some have filled with water and now look very natural with a variety of wetland grasses to soften their impact. Further remnants of industrial activity are just abandoned in the form of discarded waste from fires and furnaces. The locals call them The Cinder Caves due to being carved into by local people in their leisure time. They are stark to look at and razor sharp to the touch from the processes and materials used. Plants are only just gaining a foothold on them after many years. Before the mechanisation of textiles the area was punctuated by weaver’s cottages and to link these, pack horse trails crossed the wild landscape. Some remain today juxtaposed with semi-detached houses. On the southern side of the moor the urban sprawl of Bradford creeps ever closer. Looking to the other compass points there is farmland stretching as far as the eye can see. This retreat from the city not only saw industry scar its surface but war has left its mark too. In 1940 Britain was the only country left in Europe that stood up to the German threat. Invasion was very real and inevitable to many in the country. Britain planned to defend its land to the last. All over Britain defences and means of resistance were conceived. Baildon Moor played its part in this. Because it was high open ground it was ideal for German paratroopers and troop-filled gliders to land. This scenario was brought to life by a conversation I had with an old chap called Jack. He described how his father and others had been assigned the job of spiking the moor with tree trunks and telegraph poles to make it difficult for landings of any kind. He then explained a feature that I had walked past many times and not realised, was in fact a tank trap and machine gun post. Its position is on the Glen Road just as the glen opens out to the moor itself.